Being humans, we all have volatile memory. Fortunately, indeed! Although, when it comes to logging in the account, and suddenly the error message pops up, volatile memory proofs itself to be a bane. Here, LastPass comes into the picture. LastPass lets you save your passwords for you that are in encrypted forms. So that you don’t have to worry about forgetting the passwords. The LastPass free on chrome and firefox allows you to save all your passwords securely without the need to be concerned about LastPass getting hacked. How to Use LastPass on Chrome? How to Use LastPass on Firefox? LastPass is the secure way of storing all the passwords of the sites that we open in a browser. The LastPass free app helps to synchronize all your passwords at one place. No matter whether you are on your own device or other. Whether you are on your mobile, tablet or PC, you can stay completely reliable on LastPass. It simply stores and synchronizes all your passwords at one place. Even if the password is encrypted, LastPass is able to detect the right password. The password with its respective site is saved in the LastPass app. LastPass is as secure as it needs to be. With 2-step authentication, you know, your password is in safe hands. All you need to provide is your working mobile number, and working email address. And you will receive a code or OTP, for new device sign-in attempt. Or in case of suspicious activity. LastPass is also available for businesses and enterprises. So that all the passwords are saved in one place. Though, the login credentials for each employee varies, the parent access is one. And your boss can anytime access the LastPass chrome, with your permission. The LastPass firefox for Mobile works quite well. The app can even decrypt the pin that you enter to unlock your mobile phone device. Just in case, if you forget your mobile PIN, you can get an access via mail from your other device like a tablet or PC or even another mobile device. The LastPass chrome is a great app to store all your passwords of your family at one place. Hence, you can all use one app with different login ids to access the passwords. This is a great idea to keep all your passwords stored in one place. Open the web browser and browse to a login page saved in the LastPass Vault. Tap on the grey LastPass icon. In case, you don’t see the LastPass icon, it might be hidden in More, in the bottom row. If the prompt is enabled, you will be prompted for your Master Password, PIN, or Fingerprint. Matching Sites will appear. Tap on the desired credential and LastPass will autofill the fields for you. The Firefox browser needs to be updated. Click here to download the latest version of the LastPass. 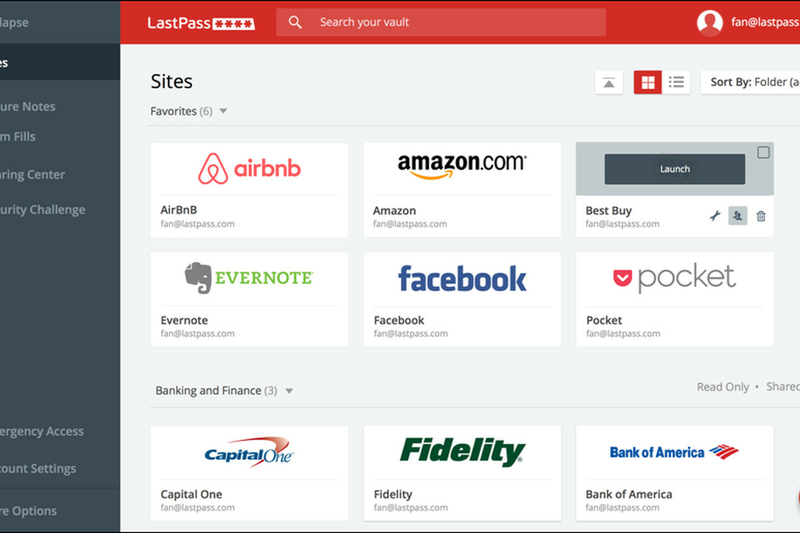 LastPass web browser extension for your desired web browser. If LastPass is listed but not enabled, you must enable it in order for the LastPass icon to display in your web browser toolbar. Go to Menu icon > Customize > Right-click the LastPass icon > Add to toolbar or drag and drop the LastPass icon into your toolbar. LastPass Free is an extremely important app to have on your device. You don’t really have to worry about remembering all your passwords. And don’t have to keep the same passwords for all the sites and apps. Do let us know, how the LastPass worked for you. For more such updates and information, stay reading us.